The Togo wolves have targeted cattle six separate times since November, including three times in the past 30 days, according to the Washington Department of Fish and Wildlife. Thurston County Superior Court Judge Chris Lanese Monday prevented the Washington Department of Fish and Wildlife (WDFW) from carrying out a kill order for wolves in the Togo pack, according to a conservation group that challenged the agency in court. “The agency cannot go out and kill wolves,” said Amaroq Weiss, a wolf advocate for The Center for Biological Diversity, after the judge granted the center’s request for a temporary restraining order. The judge set an Aug. 31 court date for a preliminary injunction hearing, which could prevent WDFW from killing the Togo wolves until a full trial. The judge’s order applies only to the Togo wolves, according to WDFW. The agency announced earlier Monday that its director, Kelly Susewind, had approved killing members of the Togo wolf pack after the animals preyed upon ranchers’ cattle several times in Ferry County. The Togo wolves have targeted cattle six times since November, according to the state wildlife agency, and killed multiple calves and a cow. Three of the wolf depredations took place in the past 30 days, which is frequent enough that the state believes it is allowed to approve lethal action under its 2011 wolf conservation plan and its 2017 wolf-livestock protocols. 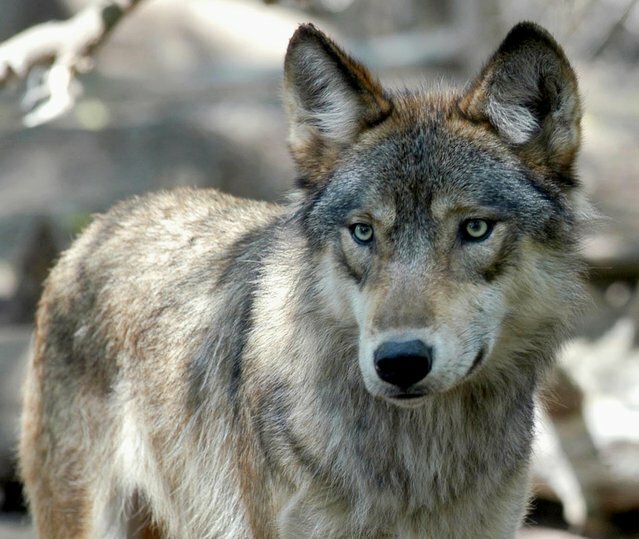 “The evidence shows that nonlethal measures have not been successful, and the pack will continue preying on livestock unless we take action to change its behavior,” Susewind said in the news release sent Monday morning. However, a court decision earlier this year required the agency provide at least eight hours public notice before eliminating wolves. “The decisions to kill wolves are not based on the best available science,” Weiss said. The 2017 wolf-livestock protocols require ranchers to demonstrate they’ve attempted to prevent wolves from preying on cattle with at least two nonlethal methods. In this case, the agency says the rancher delayed releasing young cattle until later than usual so they would be larger and more difficult to kill, used a strobe light to deter wolves, removed sick and injured cattle, and also deployed range riders. When wolves are suspected of killing cattle, a two-person WDFW team will investigate, treating the site of the incident as a “crime scene,” according to the protocols. In this case, the agency posted nearly 3,000 words on its website describing the six investigations of wolf depredations, including details of bite lacerations and puncture wounds. If it’s clear wolves are behind the killing of cattle, nonlethal methods have been attempted, and depredations are considered “likely to continue,” WDFW’s policy is to “change pack behavior” by “incremental removal,” which includes the options of trapping wolves, shooting them from a helicopter or from the ground. The size of the Togo pack is uncertain. An adult male member of the Togo pack was previously captured and collared with a GPS device, Botka said. WDFW planned to first target that wolf, he said. Wolves began a rapid return to Washington state in 2008, after being trapped, poisoned and hunted to local extinction here in the early 1900s. Their numbers have grown from just a handful in 2008 to at least 122 today, according to WDFW’s latest count. Most live in rural, rugged areas of northeast Washington. Previous Seattle’s air is unsafe!!! !